The City of Eden Prairie (http://www.edenprairie.org/), Minnesota has been recognized as a great place to work and raise a family for many years and is currently one of MONEY Magazine’s “Best Places to Live” in America. A vibrant community of more than 60,000 people, Eden Prairie is located just southwest of the Minneapolis-St. Paul metro area. With more than 72 percent of the population under the age of 45, the community has an optimistic eye on the future. Eden Prairie is home to more than 2,200 businesses and has attractive residential neighborhoods, affordable housing options, more than 170 miles of multi-use trails and 2,250 acres of park land. 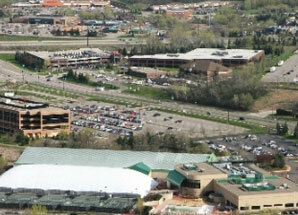 Fine restaurants and shopping are plentiful in Eden Prairie. Combined with excellent schools and a strong sense of community, Eden Prairie is truly a great place to Live, Work and Dream! Take a virtual tour of the City of Eden Prairie here: http://eden-prairie.granicus.com/MediaPlayer.php?view_id=3&clip_id=89. Eden Prairie Public Schools are among the best in the state of Minnesota. Independent School District 272 (http://www.edenpr.org/) serves more than 10,200 students. The school system is regularly among the top performing districts in the state on the statewide assessment tests and the SAT and ACT college entrance examinations. The district is known for its innovative curriculum, high quality teaching and administrative staffs, and high expectations for all students. The International School of Minnesota (ISM) is a private, non-denominational, college preparatory school for preschool through Grade 12 located on a 55-acre campus in Eden Prairie. As a member of the SABIS® School Network and one of over 50 schools worldwide, ISM is part of a system long recognized by premier colleges and universities for outstanding academic achievement. ISM students’ test scores are consistently higher than local and national averages. Course offerings include extensive math and science, English, humanities, computer science and world languages, in addition to opportunities for all students to participate in music, sports, art, drama and Student Life. Every January, the City of Eden Prairie, the Eden Prairie Schools and the Chamber hold the “State of the City Address.”This luncheon event provides our members with the opportunity to hear first hand what the city as a whole expects and is looking forward to in the coming year.